A note from Solomon Mikhoels to Solomon Zil’berblat, 1930. 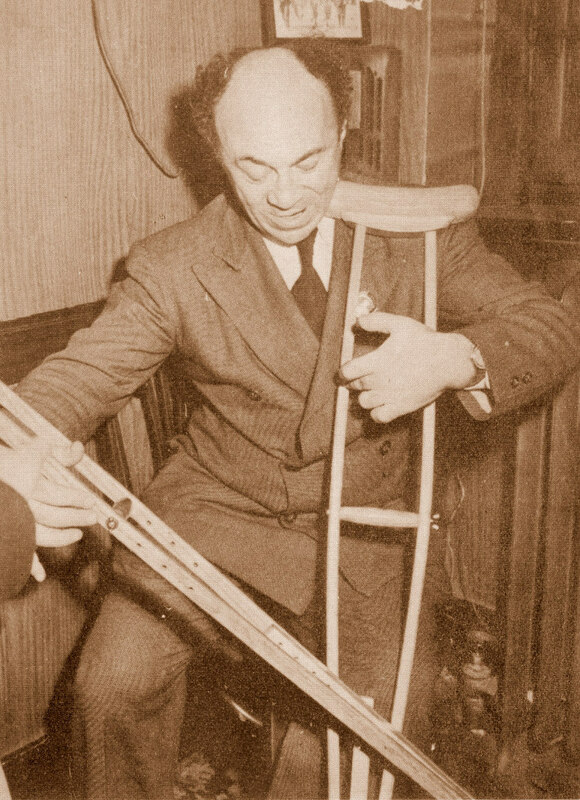 Mikhoels, whose leg was not fully recovered from trauma, is asking Zil’berblat to fill in for him onstage. 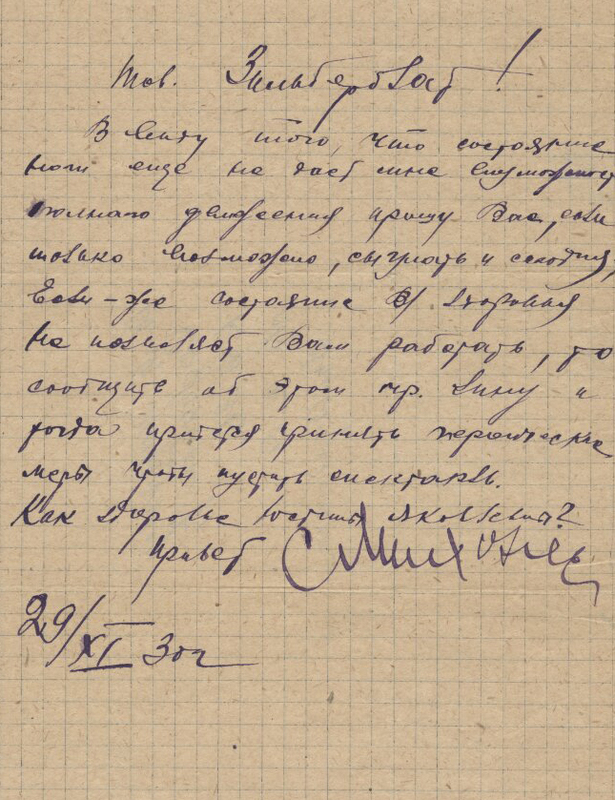 Handwritten and signed by Mikhoels on November 29, 1930.